Features: Just the Right Bite: Combining the patented CamelBak Big Bite Valve with a stem tube and shut-off valve, this detachable one-piece component is simple for kids to use and simple for parents to clean. CAMELBAK EDDY DRINK BOTTLE 400MLS - DAISIES. 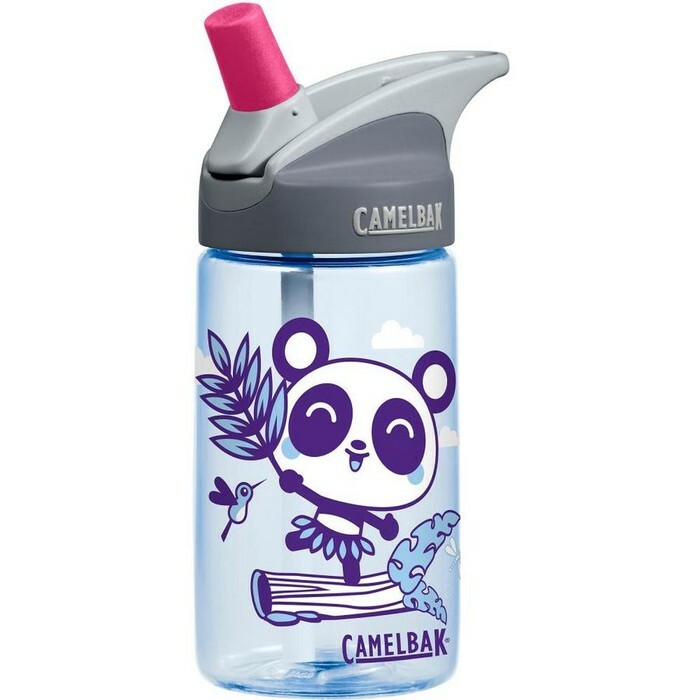 $29.95 The CamelBak Kids drink bottle is a smaller size of the classic CamelBak, fun prints, easy to clean, free of BPA and ready to go anywhere with your little adventurer. The CamelBak Eddy drink bottles for kids are reusable water bottles with a straw, a no-spill system and are made of stain-resistant and taste-resistant BPA-Free Eastman Tritan™ Copolyester. Camelbak Eddy Kids Drink Bottle - 400ml - Camelbak - The classic, spill-proof Eddy bottle, designed specially for littler hands. The simplified straw is easy for kids to use, and the size makes it ideal for packing in bags and lunchboxes. All the parts are easy to remove for cleaning and child safe. Answer. The eddy kids’ bottle is built a little differently than the grownup eddy bottle—we made the bite valve harder to pull off so it won’t create a choking hazard.